Brian Noble is a social anthropologist currently active in two research areas. One addresses anti-colonial resolution of relations between Indigenous Peoples and settler Canada, and the processes animating indigenous land, economic and knowledge authority in global arenas. Noble, and his graduate students, have collaborated with Piikani, Secwepemc, Kwakwka'awakw, Mi'kmaq, and Cree peoples. He is also Co-investigator on the SSHRC-MCRI Intellectual Property Issues in Cultural Heritage: Theory, Practice, Policy, Ethics. Noble’s second area is the anthropology of science, techniques and expertise. His 2016 book Articulating Dinosaurs: A Political Anthropology investigates how expert scientific and public practices intersect in constituting dinosaur natures. 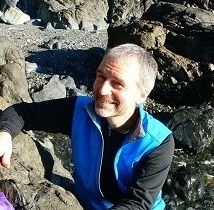 He is also Dalhousie’s partner in a multi-university American Philosophical Society project on the natural / human science contributions of fore-runner anthropologist Franz Boas; co-manager of the Atlantic node of the Situating Science Knowledge Cluster; and co-investigator in the CIHR-funded project Constituting Commercialization. He has organized symposia including “To See Where it Takes us: Conversations with Isabelle Stengers” (Cosmopolitics Lecture) and “Reconciliation: The Responsibility for Shared Futures” (M Asch “Confederation Treaties”, J Borrows “Aki-noomagewin”). 2016 Articulating Dinosaurs: A Political Anthropology. Toronto: University of Toronto Press. 2015 “Tripped up by Coloniality: Anthropologists as Instruments or Agents in Indigenous – Settler Political Relations?” Anthropologica 57(2): 427-443. 2015 "Consent, Collaboration, Treaty: Toward Anti-Colonial Praxes in Indigenous-Settler Research Relations." (Introduction) Anthropologica 57(2): 411-417. 2007 "Justice, Transaction, Translation: Blackfoot Tipi Transfers and WIPO’s Search for the Facts of Traditional Knowledge Exchange.” American Anthropologist, Vol. 109, Issue 2, pp. 338–349.